When it comes to character development, people often use words like “quality” or “trait” to describe personal strengths like honesty, integrity, courage and perseverance. But these terms miss the mark. The reason: The only way others can really tell if you’re honest or courageous when you face a challenge is by observing your behavior. What do you actually DO when you’re in a situation that requires you to tell the truth or take a calculated risk? It’s not about what you say you value, it’s how you act in the moment. Reading books to get inspired will only take you so far. And it’s not enough to think of yourself as a person who values decisiveness, compassion, and initiative. The real test is: Do you consistently make decisions in a timely manner, treat others kindly and take appropriate action without being asked to? Many character education programs in schools these days fall far short of helping students actually become people of character. They may teach the importance of fairness, excellence, commitment and personal responsibility. But they don’t give kids the opportunity to actually develop these behavior patterns. You build physical strength by repeatedly exercising certain muscles. Whether you’re working with a trainer at the gym or going through work-out DVDs at home, practice and repetition are keys to getting in shape. In a similar way, you develop a personal strength by repeating a behavior pattern until it becomes comfortable. You’re actually wiring a circuit in your brain that enables you to do it automatically. Here’s why that kind of repetition is so important. When you face a difficult situation, you don’t always have time to think through how you’ll respond. That means you often react with a pattern you’ve ingrained over time. So what kinds of patterns have you established? Let’s say someone asks you if you got a specific task or project done. If you didn’t, will you admit the truth or try to cover up to save face? If you’ve developed a pattern of being honest most of the time, you’ll be more likely to tell the truth in this situation. Or you’re upset because another person didn’t follow through with something they promised to do. Do you keep your cool and maintain your composure, or do you fly off the handle and react emotionally? 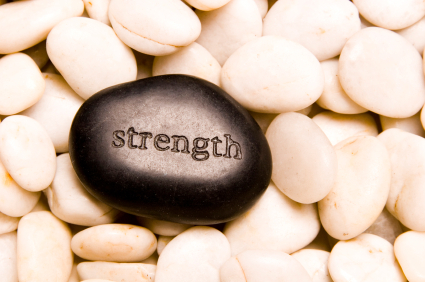 So what behavior patterns related to personal strengths have you established? Have you created habits that make it easy for you to do the hard things in your work and personal life? Until now there hasn’t been a system for helping people build these core personal strengths. Our ProStar Coach program provides the content and the structure to help you develop 40 different strengths. If you’re committed to being a lifelong learner, you owe it to yourself to check it out. Agreed 100%. Another way to say it, character is your learned, second nature. If you have to stop and think about applying the rules, you have not formed character, you have only learned the rules. Great insight, Doug. Thank you for amplifying my point. I completely agree with all of this. Behaviour change can only come about through doing and consistently applying values. That's how you create default behaviour. Otherwise you will always behave aligned to your mental scripts. Thanks for this Meredith. I am such a fan of focussing on habits to build character and develop strengths. So many times we expect magic solutions when all we need to is get the right habits. Emma Sue, I appreciate your positive feedback and reinforcement of my points. Andy, I'm glad to hear your interests are aligned with mine and you're absolutely right that right habits are key to getting the results we want! Personal strength is most powerful element of changing or developing character. Last year I tried hard for changing my behavior then a teacher given me some rule of how to increase strength then i practice for gaining. Finally did.